The ruins of Iwazu Castle were located on the hill behind Shinkomyoji Temple. Matsudaira Nobumitsu, the 3rd lord, occupied the castle as his stronghold for wielding his power in this area. 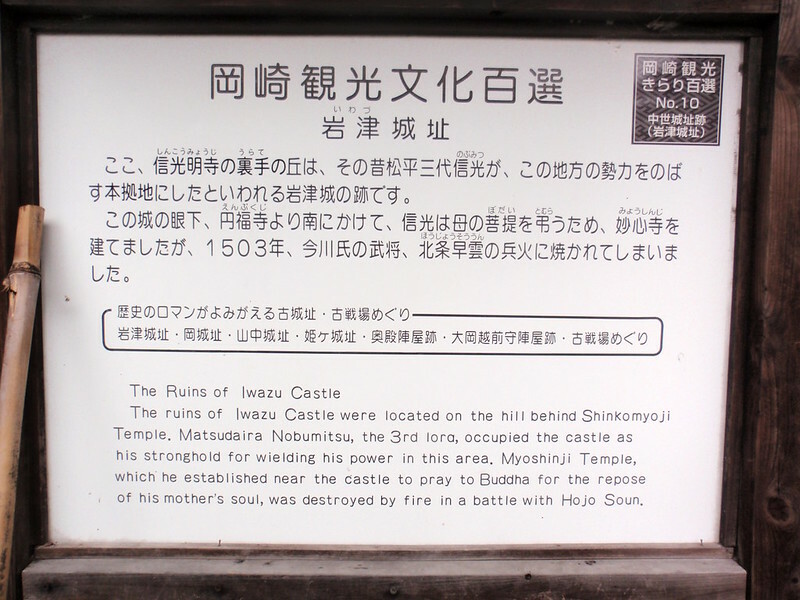 Myoshinji Temple, which he established near the castle to pray to Buddha for the repose of his mother's soul, was destroyed by fire in a battle with Hojo Soun.